Bring versatility, adaptability, and durability to your food service establishment with the Vollrath 52682 Signature full-size 8 3/16" X-tall open rack! 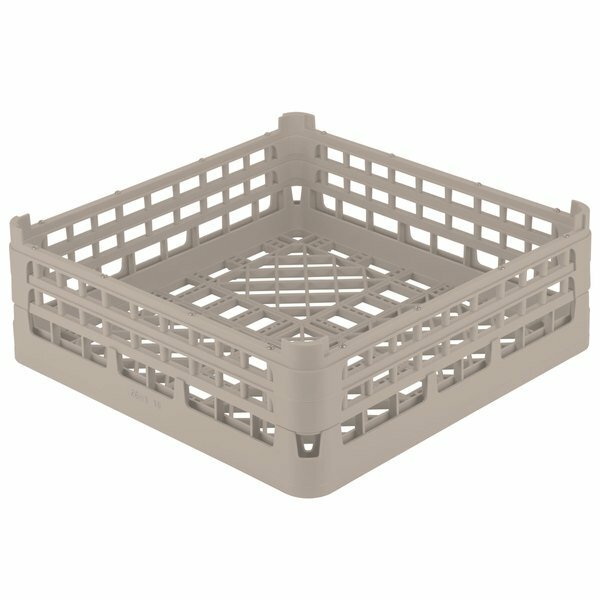 This open rack provides the superior protection and spot-free washing that will always leave your dishware looking its best. 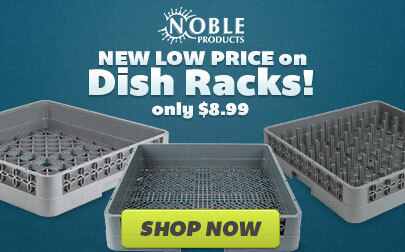 This rack has no restricting compartments, making it perfect for oversized or irregularly shaped dishes. In addition, the peg corner design allows for secure stacking, creating a convenient space-saving storage option. Featuring chemical, impact, and heat resistance up to 180 degrees Fahrenheit for 30 minutes, the open profile of this Signature rack allows for top-to-bottom and side-to-side water and air circulation, ensuring thorough washing, sanitizing, and quick drying. The X-tall 8 3/16" height is great for your tall dishware. This four-way tracking eliminates the need to rotate racks when loading into the dish machine. The closed ends help to reduce the risk of breakage while carrying.